In a lengthy blog update, developer Team Cherry announced Hollow Knight: Silksong, a proper sequel to its indie-darling, Hollow Knight. During the update, the team also revealed that Hollow Knight has reached a noteworthy sales milestone. Across the PlayStation 4, Nintendo Switch, PC, and Xbox One platforms, the indie title has crossed 2.8 million units sold. Team Cherry made note of the achievement with the following statement: “Thanks to the incredible support of players and Kickstarter backers, what started out as a tiny game jam idea has become a game bought and played by over 2.8 million people!” This is superb news, especially for a game that began as a Kickstarter project and received a staggered release across multiple platforms. As an appreciative gesture to Hollow Knight’s earliest supporters, Team Cherry developers also revealed that Kickstarter backers would gain access to Hollow Knight: Silksong free of charge. For now, the sequel is only confirmed to launch on Nintendo Switch and PC, as the developer doesn’t want to commit to something that may extend beyond its bandwidth. Still, PS4 and Xbox One releases have not been ruled out entirely. 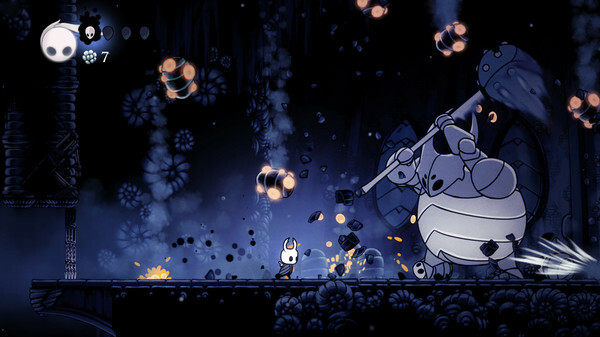 Hollow Knight originally launched in February 2017 to instant acclaim. From its successful exploration of the Metroidvania subgenre to the charming art style and stunning soundtrack, Hollow Knight excelled above and beyond expectations. Considering its critical and commercial triumphs, the recent announcement of a sequel is bound to excite fans of the original. Team Cherry has yet to announce a release date for Hollow Knight: Silksong.